A process of unsupervised learning in which similar data points are identified and grouped together in order to help profile the attributes of different groups. 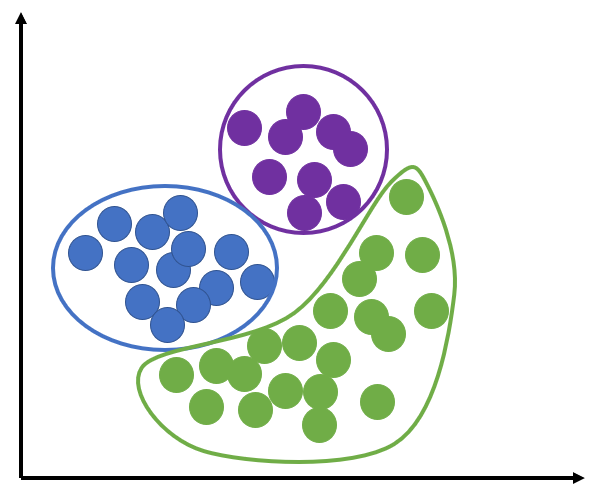 Clustering, or cluster analysis, is a process of unsupervised learning in which similar data points are identified and grouped together in order to help profile the attributes of different groups. The general aim of clustering is to maximize intra-cluster similarity while minimizing inter-cluster similarity. In other words, finding clusters such that the data points within a given cluster are as similar to each other as possible while the clusters themselves are as different from each other as possible. A clustering method that augments vanilla k-means algorithm with a randomized seeding technique. A simple implementation of clustering that can be solved efficiently by standard linear algebra software.